Why having an alcohol-free freshers week is absolutely fine. It’s that time of year again, 18 year olds (and older) have got their grades and are heading to university. While some of us chose to move away from home, others might be sticking around but commuting. Freshers week has a reputation as an absolutely crazy 7 day party where everyone spends the majority of the time drunk. But what if you don’t drink? Whenever I meet new students I’m always answering questions by nervous people who either don’t drink or don’t like clubbing. It’s true most university events are surrounded by alcohol, club nights or pub crawls but believe it or not it’s still possible to have a great time without drinking. If you’ve been following my blog since I started you’ll know that I hardly drank at all in my first year and went out to a club a grand total of two times, I did drink I’d usually end up wasted at pre drinks because I was so anxious about going out and I’d panic drink until I couldn’t go. In my second year I started going out with friends at least once a month because I had people I finally felt comfortable enough around and got the party bug. Fast forward to this year and I can’t go clubbing even if I wanted to because of my spine and if I want to drink I can’t take any pain medication for two days, which would you decide? 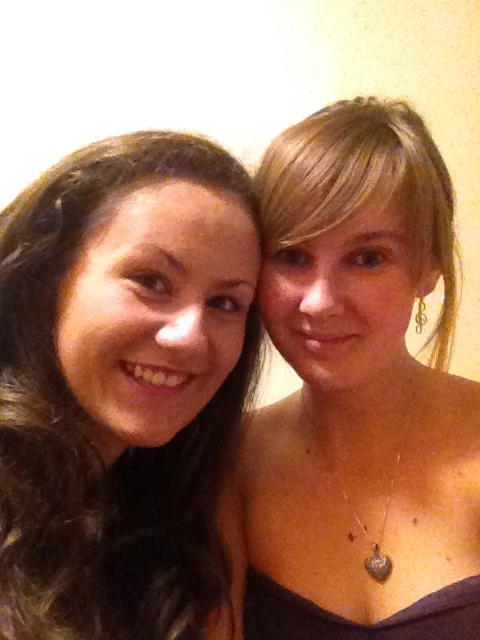 After my Freshers Ball, sober but smiling. People choose not to drink for a load of reasons medical, religious, or simply not wanting to. I remember being a fresher and feeling so nervous and like I had to drink if I went anywhere. I was so desperate to make friends and not be alone but I really do regret it. When I’m anxious or depressed, alcohol is not my friend, on more than one occasion I’ve gone out drinking when feeling like that and ended up crying when I got home, because I wasn’t feeling well and plus, alcohol is a depressant. Now I’m happier and have better mental health I can usually gage if I should have a drink or not. What about you guys though? I’m going to give you some clichè advice, just be yourself. Starting uni is a whole new chapter in your life and for me it was a chance to start over and be who I wanted, it took a little longer but I’m pretty happy with who I carved out here. You’re a great person and I’ll bet you anything there is someone close to you feeling just as nervous and isn’t keen on getting wasted. If you’re in a new place with completely new people you have a right to not want to get hammered and a lot of people understand. There are people who like that kind of thing but if you’re not one of them it looks incredibly daunting. If you’re not drinking there are so many benefits no hangover in the morning, you have more money, more time to go and do cool things (like exploring your new place!) and work out what you want. There’s also no problem with wanting to go out and try it too, that’s what uni is all about! I completely understand how daunting starting uni is and sometimes I still feel overwhelmed…and I’m a third year! If anyone wants any tips, tricks or just a chat feel free to comment, email or tweet me! Have a great Freshers week folks!